Bharat Electronics Limited, Is Appointing Eligible People To For The Trade Apprentices Selection For Various Trade Discipline. So Interested People Can Apply For This Through Online Mode Within The Given Time Period. 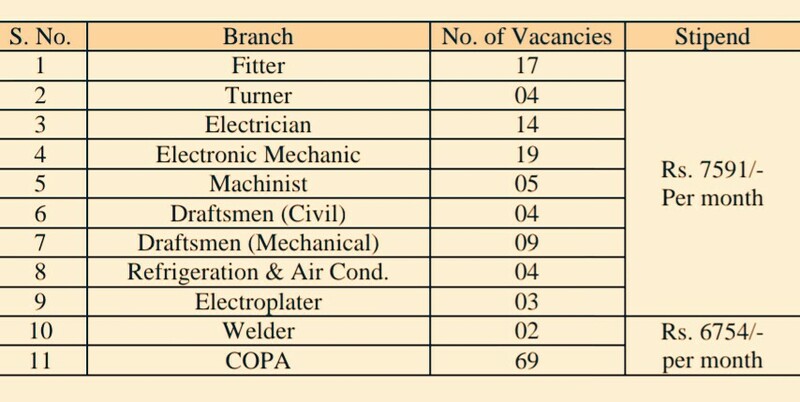 Trade Apprentices Selection →150 Online Vacancies, Do Check Out The Image Below For Name Of The Discipline/Post & Vacancies Distinction. B. Eligible Criteria For Trade Apprentice Selection In BEL Recruitment 2019 Ghaziabad. Age Limit →Age limit: Candidates should be below 28 years of age as on 30-April-2019. Upper age relaxation of 5 years in case of SC/ST/PWD and 3 years in case of OBC candidates only. Educational Qualifications →Candidates passed ITI Training under NCVT only with at least 60% marks for General and OBC Candidates and at least 50% marks for SC, ST& PWD candidates, from recognized ITI’s in last three years from the Date mentioned in the Advt. Now Apply For Ghaziabad Trade Apprentices Selection BEL Recruitment 2019.